If you've decided that you want to make healthier food choices, you've made a very wise decision. With that said, eating healthily is easier said than done. If you're having a hard time choosing healthy foods, follow these tips. 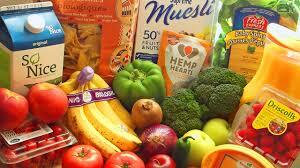 The more processing a food has gone through, the less likely it is to be healthy. Try to avoid processed foods as much as you can. Focus on eating whole foods instead. If you dine on fresh whole foods, like fruits, vegetables, and lean proteins, you'll be able to feel the difference. Your body will start to change for the better. If you can, you should be cooking a lot of your meals from scratch. Preparing your own meals takes time and planning, but it's definitely worth the effort. When you eat your meal, you'll be consuming fewer calories and eating a much healthier dish overall. There are a lot of people out there that claim to hate vegetables. Some people even say that they hate fruit! If you're one of these people, you should try to find fruits and vegetables that appeal to you. If you don't like spinach, that's okay. There are plenty of other dark leafy greens, like kale and swiss chard, that you can try instead. If you don't like broccoli, you can get a lot of the same nutrients from bell peppers. Make a point of trying new things. Eventually, you'll find some healthy foods that you adore. You don't have to give up your favorite foods. If you love pizza, you can still have it on vacation. However, you should try to eat fewer unhealthy foods. If you can eat things like pizza and burgers in moderation, you'll be fine. A lot of people find success with cheat days. You can stick to a stricter diet during the week. On your cheat day, you can indulge in any foods that you want to have. A lot of people are able to avoid overeating when they are on a strict diet like this. Choosing healthy foods takes practice. When you're first starting a diet, you may struggle to make healthy choices. In time, as you adjust to your diet, you'll be able to make smart choices time and time again. You'll love the foods that you eat, and you'll love the way you feel as well.